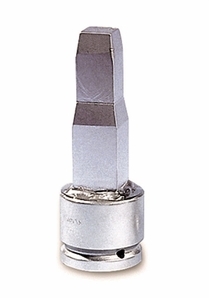 This tool can be used with a variety of power tools to open rack-and-pinion hopper car gates. Stepped section starts at 1-1/2" square and tapers to 1-1/4" square drive. Length 5".